Tina has extensive advocacy experience and has appeared as sole counsel in the Court of Appeal, High Court and County Court. She has also appeared in the First-tier Tribunal (Property Chamber) in both the Residential Property and Land Registration divisions. Tina’s practice has always been in Civil Litigation, with a current emphasis on Property and Landlord & Tenant (both residential and commercial). In addition, she continues to be instructed on Partnership, Company Law, Contract, Costs and Defamation matters. Tina is a qualified, accredited Mediator in Civil and Commercial matters. She is also an Associate Member of the Chartered Institute of Arbitrators (CIArb). Tina also accepts instructions on a Direct Access basis. Mortgage possession matters instructed on behalf of banks, private lenders/borrowers and receivers. Speedkarting Limited v Beddall & Lloyd, Court of Appeal, (Appeal ref A3/2014/2912) (unreported): Acting for the Appellant in successfully appealing against a decision relating to rights of way on a trading estate by way of a roadway. Issues relating to the interpretation of the previous transfer of covenants on the land. The Queen, on the application of Mrs Wiseman v Secretary of State for Environment, Food and Rural Affairs, Court of Appeal, (Appeal ref C1/2016/0655) (unreported): The Application for permission to appeal a decision to refuse permission to claim for judicial review on the basis of inter-alia procedural irregularity. Issues as to Appellant losing the privacy and security of her family home and her having lost the enjoyment of her land. 3 day multi-track trial representing successful Claimant seeking a Declaration and claiming an entitlement to an interest in a property by way of a lifetime tenancy under a Constructive Trust or proprietary estoppel in the alternative. 1 day fast-track trial representing the successful Claimant claiming damages for negligence/nuisance following disrepair to neighbouring property (2019). Advising, drafting and representing successful Claimant at Court on an application pursuant to s.49(1) LRHUDA (2019). Advising and drafting in relation to an application to the FTT by a Company to exercise the Right to Manage under section 84(3) of the Commonhold and Leasehold Reform Act 2002 (2019). Advising and drafting on a s.25 Landlord and Tenant Act 1954 application not to renew lease by London Underground in relation to business premises at South Kensington Station (2018). Regularly appearing at the FTT on service charges related matters. Advising, drafting and representing defendant company in relation to damages following breach of duty and an application pursuant to the Companies Act 2006 for permission to continue a derivatives claim (case ongoing). Advising, drafting and representing 8 Defendant companies in a matter relating to breach of duties under the Companies Act 2006, contact/shareholder agreements, fiduciary duty and with remedies being sought as to injunctive, specific performance and equitable compensation (case ongoing). Tamiz v Khandanpour, 3 day trial, High Court. Issues relating to enforcement of a Tomlin order which settled substantial payment from the transactions of various residential properties. Tilney Group Ltd v Thomas, High Court. Application for interim injunction against Respondent where terms agreed but issue as to the appropriate order for costs. Successfully argued the appropriate order for the Respondent. Case involved enforcement of restrictive covenant in a contract. Rai v Bholowasia & Pardes Weekly (UK) Ltd  All ER (D) 214 (Feb). Sole counsel successfully representing the Claimant in a 7 day High Court trial. Abbas v Shah  EWHC 4493 (QB). Representing Defendant on all interim applications and preparing for High Court trial that settled before hearing. Tina has been instructed on various types of interim applications relating to costs issues in the County Court. She is also instructed on Detailed Assessments both in County Courts and the Senior Court Costs Office (SCCO). She has been instructed by the NHS Litigation Authority (NHSLA) on all such costs matters. Tina regularly accepts instructions on all Civil and Commercial mediations in the capacity of a Barrister and also as a Mediator. Tina is also a faculty member with the London School of Mediation and tutors on the courses and had recently tutored at the Special Tribunal for Lebanon at The Hague. She sat as a Judge on the UK Student Mediation Competition 2019 in Bristol. Her experience in Arbitration extends to acting for the Forestry Commission in relation to Farm/Woodland Grant Schemes in relation to an Arbitration clause within the contract. In her early years of practice, Tina was instructed by the Treasury Solicitor to undertake work under the baby barrister scheme on the Commercial/Construction. I had the luck to have Tina Kumar, represent my Company as our Barrister, at a recent court case. Her professional manner in dealing with our claim, I think was one of the reasons that we won.. I would recommend her, to anyone looking for a quality Barrister. I’m terribly impressed with both your approach and your work…You’ve take this on last minute, never phased by lateness, nor two instructing sols, nor the opposition, with utter calm…your work last night and today have made a very real difference to our client’s life… but, really, very well done. I had cause to instruct another barrister of yours this week (Tina Kumar) and I have to say I found the process excellent. Outside of these key areas of law, Mrs Tina Kumar-Jacob (2002) is always willing to consider any enquiry requiring the experience or knowledge needed to help you or your client. Please call Tina direct or the support team on 01823 247 247 if you would like to discuss any aspect of this profile. 3. 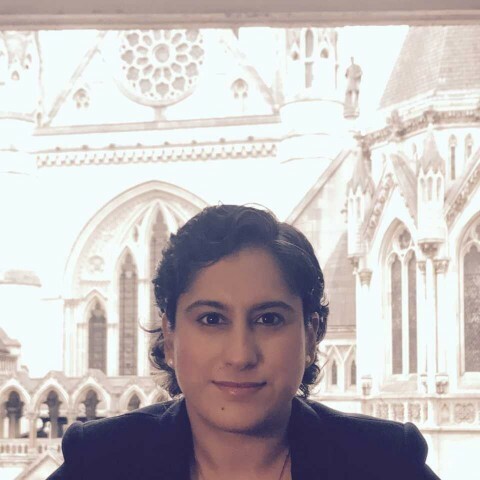 I, Tina Kumar, have been instructed by you or your litigation friend (usually a parent), through your solicitor or agent, or via the Bar Pro Bono Unit. 27. If you have any questions regarding this privacy notice, or how I use your personal data please email me: kumar@clerksroom.com, or my clerks: mail@clerksroom telephone 01823 247 247.